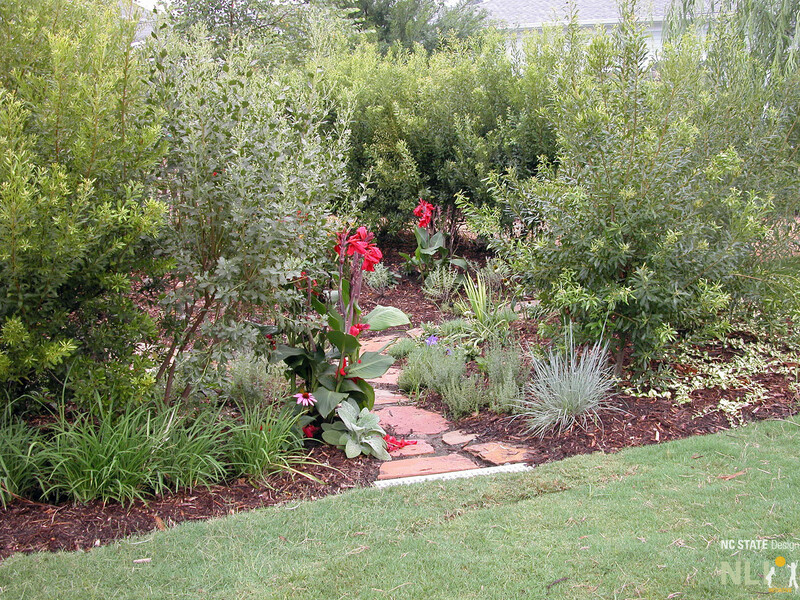 What are good landscape plants for North Carolina? NLI provides a suggested plant list for each region of North Carolina, divided into the following categories: Mountains, Piedmont, and Coastal Plain. Click a link below to download a PDF version of the plant list that is appropriate for your region. These lists have been cross-referenced with the Division of Child Development’s Toxic Plants List as well as the NC State Cooperative Extension’s Toxic Plants List, but the responsibility of providers to verify that plants are chosen appropriate for their intended use. Botanical Name: This is the genus and species name of the plant. Use this name when discussing plant selections with nurseries in order to get the exact plant species that you are asking for. Common Name: Common names are fine for general purpose, but since they widely vary it is a good idea to use botanical names when purchasing plants or discussing them with a plant expert. Recommended Cultivars: A cultivar is a plant that has been selected based on specific traits that provide an improvement over the plant it was selected from. Cultivars are always selections of a specific species of plant and are used along with the botanical name to further specify a specific plant. For instance: October Glory Red Maple (common name) would have the botanical name Acer rubrum ‘October Glory’. Notable Features: This column will help you understand what unique traits each plant has. Native: Indicates if the plant is regionally native to the Southeastern US. USDA Hardiness Zone: The USDA provides a map (see below) that assists in selecting plants that are appropriate for the zone that they are being used in. Plants will generally survive a range of zones, as indicated on the list. Max. Mature Height: This indicates the expected height of the plant at maturity. Note that soil, moisture, and climate conditions will affect the growth of plants. Some plants, such as oaks, will not reach their mature height for decades so be sure to check on the plant’s growth rate. Max. Mature Width: Same notes as above. Very Wet/Very Dry/Moist &Well Drained/Occasionally Dry: Indicates the plant’s preferred soil moisture condition.